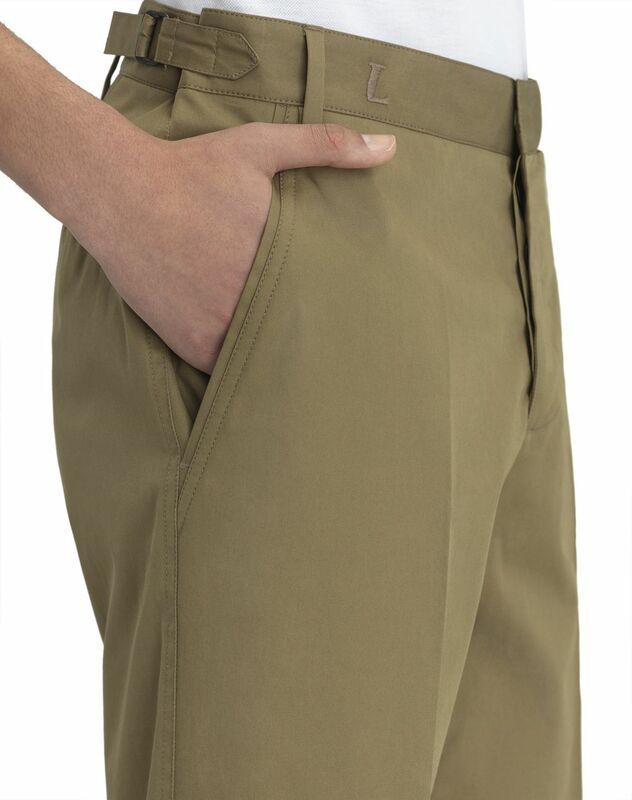 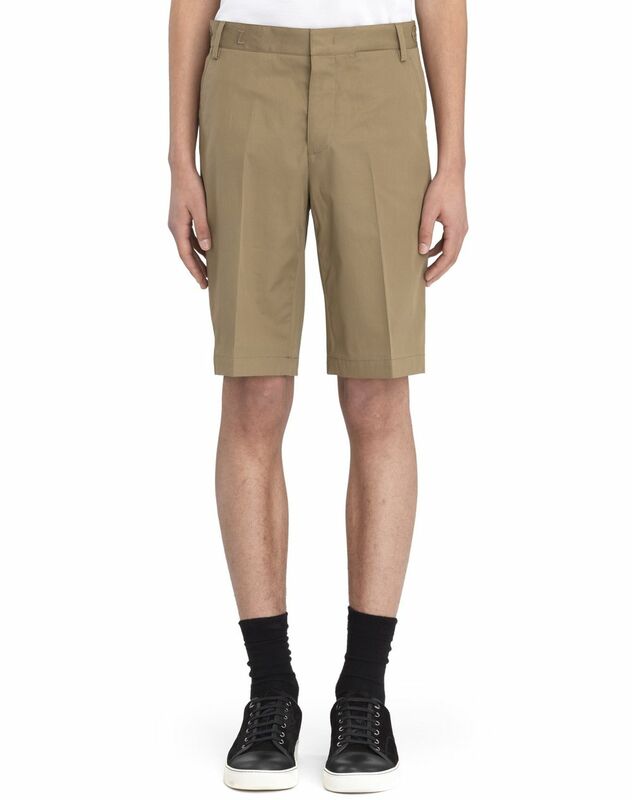 Chino shorts in beige cotton, exclusive “L” embroidered appliqué, waistband with belt loops and adjustable tabs with buckle, invisible buttons on the front, slanted pockets and buttoned welt pockets on the back, and horn buttons. 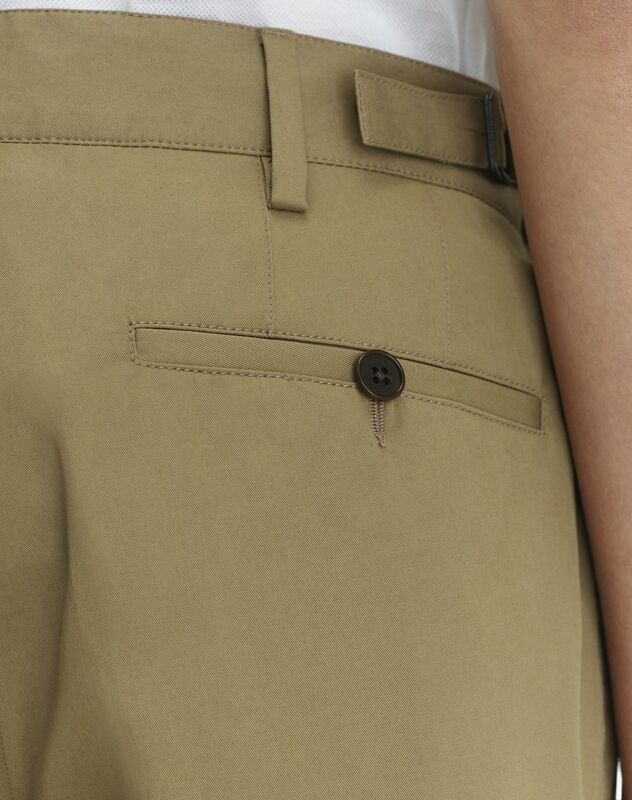 The exclusive embroidered “L” detail leaves the brand’s mark on this male wardrobe essential. 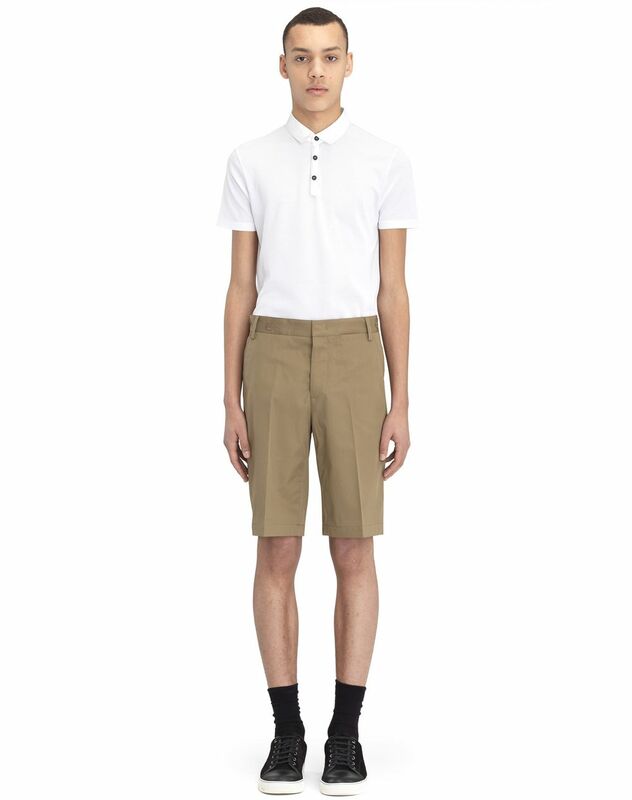 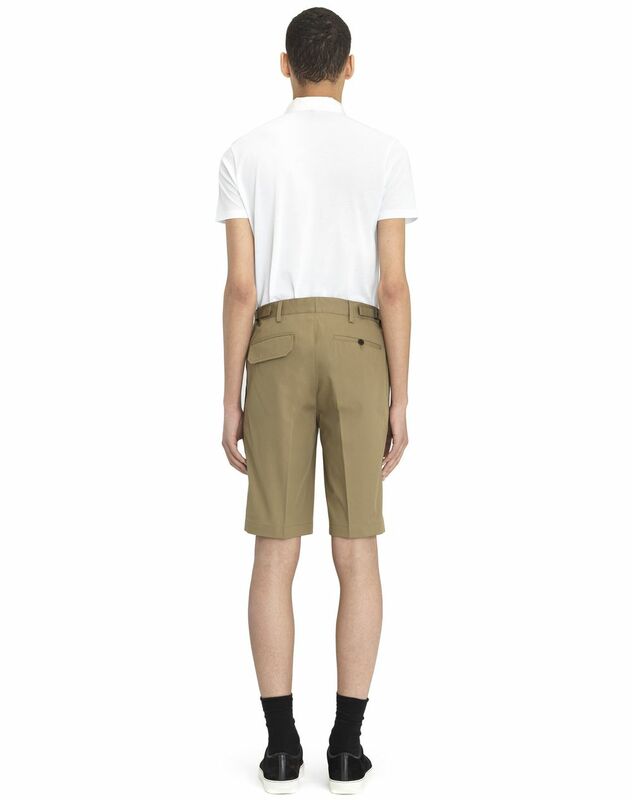 These beige cotton chino shorts provide contemporary, casual flair.